If you live in or around Carmel, Whitestown, Westfield or Zionsville, you have lots of fun options this winter holiday season. When: Now through Sunday December 23 | Closed Mondays and Tuesdays; Wednesdays 4 – 9 p.m.; Friday/Saturday/Sundays, 12 to 9 p.m.
What: Carmel’s Christkindlmarkt is an outdoor “village” of traditional German foods and gifts surrounding a holiday ice skating rink. Watch the ice skaters while you explore the authentic German market. Browse through unusual German ornaments, handmade items and collectible bier steins. Why it works: Good German food and beer, and hot chocolate to warm you inside. A feast for the eyes, the nose and the heart! Bonus: There’s even a Kids Corner with activities. When: December 1 through December 23 | Thursdays, 4 to 9 p.m.; Fridays through Sundays, 12 to 9 p.m.; closed Mondays – Wednesdays. Why it works: Burn off a little pre-holiday stress on the rink with your kids. Bonus: $4 skate rental for all ages – or bring your own. How much: 10 and under, $8; 11 and up, $11. 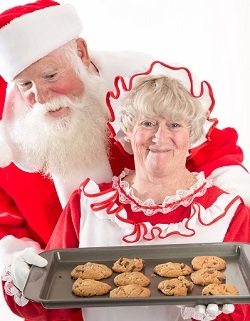 When: Saturday, December 8, 2 to 4 p.m.
What: Hamilton County Parks and Recreation gets merry as its staff welcomes Santa and Mrs. Claus. Silly Safaris will be on hand to present its Indiana Reindeer Reserve program, bringing along an actual reindeer. Why it works: What kid doesn’t love getting nose to nose with a real live reindeer? Bonus: Craft projects for the kids – and cookies are available. When: Saturday, December 15, 6 to 8 p.m.
What: Carmel Clay Parks and Recreation takes the concept of the drive-in movie inside – to the delight of kids ages 4 to 10 (parents must stay for the movie). Why it works: Kids make their own Polar Express train car. Bring your own box to decorate, a pillow and a blanket. Carmel Clay Parks will provide art supplies, popcorn, and juice. Bonus: This brilliant twist on a holiday kid-movie favorite adds a bold paintbrush-filled dollop of creativity. We love it! How much: Registration is required. Cost is $20. 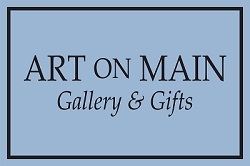 When: Saturday, December 8 | 5 – 9 p.m.
What: Shop for small original works of art. The perfect place to shop for hard-to-gift friends and family. Why it works: Good way to support Indiana local and regional artists. Bonus: Holiday treats while you shop? Door prizes? We’re in! How much: Shopping is free, of course. Items are priced for gifting. Indiana Wind Symphony: "Holiday Dreams"
When: Thursday, December 6 | 7:30 p.m.
What: The Indiana Wind Symphony provides a soothing wind instrument infusion of holiday tunes through the years, beginning with "It's the Most Wonderful Time," and continuing through "White Christmas," and classics from "The Nutcracker" and Handel's "Messiah." Why it works: If this doesn’t get you humming holiday tunes as you shop, wrap and decorate, there’s no hope! Bonus: There's an absolutely heart-warming "Silent Night" sing-along. Sigh…. How much: Tickets range from $5 to $40. When: Wednesday, December 12 | 2 and 7:30 p.m.
What: The Palladium is nationally known for its Great American Songbook series. Here, they have broadened that interest to include classic musical films. This 1954 movie is a great example of the golden age of Hollywood. "White Christmas," stars Bing Crosby, Danny Kaye, and Rosemary Clooney. Why it works: It is ever so much better to share the experience of this adorable movie with a group of friends and family. When: Saturday, December 8 | 11 a.m. – 1 p.m.
Why it works: If there is a better way to take a breather from holiday shopping with the kids than warm cookies, milk and a Christmas story, we haven’t heard of it! Bonus: No reservations needed. Just drop in with the kids. 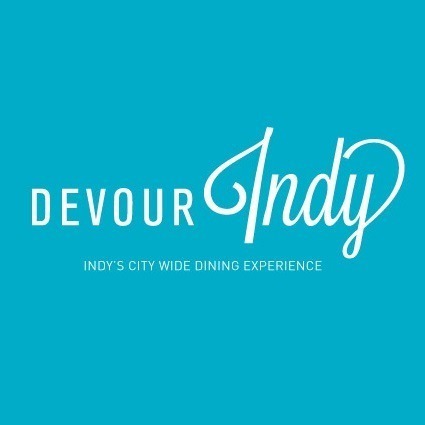 When: Saturdays, December 1 – 22 | 2 - 9 p.m.
What: Enjoy a warm trolley ride up or down the Monon Trail to easily get around Carmel’s Arts & Design district. Why it works: So many reasons: Shopping-weary feet, cranky kids, dropping temperatures. When: Saturday, December 2 and Sunday December 3 | 11 a.m. – 3 p.m.
What: Come meet Zionsville’s favorite Santa in residence at the Santa House. Enjoy horse-drawn wagon rides throughout the village, as well as musical entertainment from strolling buskers, choral groups, musicians and bands. Why it works: Zionsville’s historic charm is heart-warming, especially during the holiday season. There’s a giant Christmas tree right in the middle of the cobblestone street, for goodness' sake! Bonus: Soak up the hometown atmosphere – it’s free – while you get some serious shopping done. 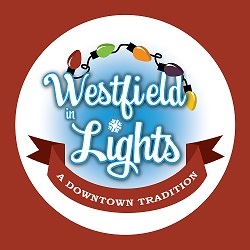 When: Saturday, December 1 | 3 – 7 p.m.
What: A downtown Westfield tradition! Book a horse-drawn carriage ride through downtown Westfield and enjoy the evening with family and friends. Why it works: Lights, jingle bells, even live reindeer! 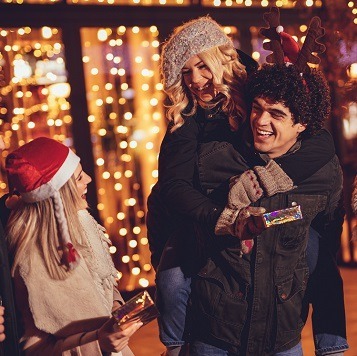 Bonus: Plenty of free attractions like train rides, pictures with Santa and Frosty, a gingerbread house competition, live music, and food and retail vendors. How much: $40 per carriage (up to 4 adults and 2 small children per carriage) for 20-25 minute ride. When: Saturday, December 8 at 9 a.m. | Sunday, December 9 at 2:30 p.m.
What: Celebrate the sights, sounds, and spirit of Christmas on the Farm at Zionsville’s freshest working farm and creamery. Visit Santa in the Red Barn. Sing along with live holiday music. 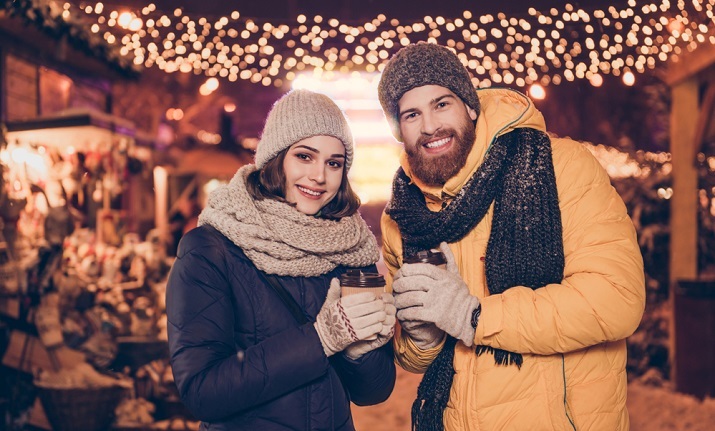 Take in the beauty of the farm on a sleigh-hayride, then treat yourself to organic eggnog, hot chocolate, and a festive menu at the Jingle Bell Cafe. Why it works: This is a working farm. Kids can see chickens, cows and calves! And oh my, taste that eggnog! Bonus: Make a reservation at the Loft Restaurant for a special holiday brunch, available 9 a.m. – 2:30 p.m., Saturday and Sunday. Reservations required. When: Saturday, December 8 | 11 a.m. – 3 p.m.
What: Snowflake Seek & Find is a great way for kids and parents to do a little shopping together. Pick up a Snowflake card at Akard True Value Hardware, the Chamber Office, or at most retail locations in Zionsville’s shopping district (Main Street). Match the snowflakes on your card with those in participating shops while you browse. Enjoy musical entertainment all along Main Street. Why it works: Once your snowflake card has been completed, children can trade it in for a free cookie to decorate at zWORKS (85 E. Cedar Street). Bonus: Barrel Train rides will be available for families and kids in the Old National Bank (385 S. Main Street) parking lot from 11 a.m. – 3 p.m. on Saturday and Sunday. When: Saturday, December 8 | 1 – 2 p.m.
What: Take a nature walk with your (leashed) furry family members at the Sanctuary trail. Explore the sights and smells of the woods in winter. Before you leave, make a lasting memory of the moment – and your pet – by making a paw print ornament. 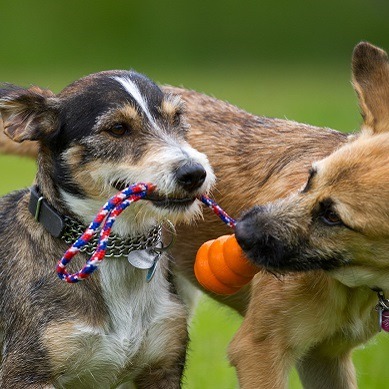 Why it works: Take a break from the hustle and bustle and get back to nature with your best four-legged friend. Great family event. Bonus: Pine trees! Trails! Wags! How much? Registration is required at www.zionnaturecenter.org but the event is free. 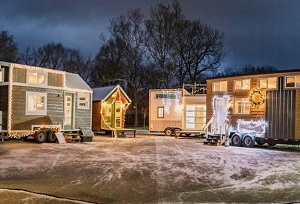 When: Friday, December 14, 3 - 8 p.m. | Saturday, December 15, 10 a.m. - 6 p.m. | Sunday, December 16 | 10 a.m. - 3 p.m.
What: Whitestown Parks and Recreation welcomes you and your family to explore dozens of Tiny Houses crafted by some of the best builders in the nation – all decorated for the holidays. Crafts for the kids and festive local brews from Moontown Brewery. Why it works: Awww! Tiny intricate houses all decorated with lights! Bonus: Live music, food trucks and beer. How much: Pre-sale tickets for Tiny Wonderland are $10 each and good for the entire weekend! Children 10 years and under get in free! When: Saturday and Sunday, December 15 and 16, and Saturday and Sunday, December 22 and 23 | 11 a.m. – 3 p.m.
What: It’s not too late to visit with Santa at the Santa House (corner of Main and Cedar Street) or take advantage of horse-drawn wagon rides through the village (rides pick up at Robert Goodman Jewelers). Why it works: Very simple: Zionsville is quite charming with plenty of restaurants to duck into when you get tired. Plus, retail therapy is a thing, right? Bonus: You may bump into the strolling Dickens Carolers! How much: Atmosphere is free. So, Hoosiers, what are YOUR favorite family and adult holiday traditions in and around Indy’s far northside? Let us know in the comments below!